We all remember significant moments in our lives. The moment we first met our future partner, or made a commitment to them. The moment we held our new-born child in our arms for the first time, left them at nursery or school the first time, or took them to university and waved goodbye. We remember making friends, seeing special places, films, music. We flash back to when we read our first long book, to an insight we had into something profound. A cherry tree in full blossom, a rose, our first champagne, a wedding, a funeral, Christmases or other festivals. The list is long. We must add to it those things which were endings. Things done for the last time. The final good bye to someone we love who died, or the sudden failure to re-appear, when they died without warning, with no leave-taking. Leaving places, especially homes, schools, places we have been happy or sad or both. Moving on, departures from people we were close to, shared time with, perhaps flats or homes. Then there is the ending of relationships as couples. The ones that we thought were forever, that fail or turn sour. The divorces, partnerships, especially those where we had children, as in a material sense those relationships never end. The children are always there to link you. Those un-couplings are so important and need even more careful management than the weddings that started them. There may be a powerful instinct to fight, a fear of losing out that motivates conflict over resources. The usual ritual is to appoint a lawyer each to try and get you the biggest share, in case you lose out. That adversarial process often damages what is left of the relationship, destroying direct communication and preventing the establishment of new friendly non couple boundaries with that person you are detaching from, but with whom you have spent a significant part of your life. Often the costs of the legal ritual can cost more than the value of what you are arguing about if it is finances. When you look back, you will remember all this. How it ended. The sweet and the sour. It doesn’t have to be a bitter contest. 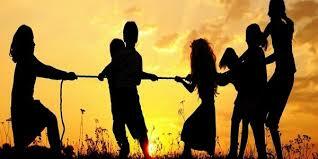 Mediation helps couples detach kindly, to create the new understandings and boundaries they need as separated parents. If you are splitting up, you will remember always what it was like, who did and said what to whom, how it was done. Don’t make the mistake of fighting. Mediate a good end, something you can remember that you did as well as was possible, with kindness and dignity. This entry was written by focusmediation, posted on September 25, 2015 at 10:33 am, filed under Family, Mediation, Separation and tagged Civil Mediation Council, Conflict, Courts, Family law. Bookmark the permalink. Follow any comments here with the RSS feed for this post. Post a comment or leave a trackback: Trackback URL.